Company’s experience with Envelopes.com convinced it of the power of category-defining .com domain names. BIGNAME Commerce hopes to parlay its success with Envelopes.com to two other big domain names. Yesterday I wrote about how BIGNAME Commerce, the parent company of Envelopes.com, purchased Folders.com and Bags.com. I caught up with BigName Commerce CEO Seth Newman this morning to learn more about the company and its latest acquisitions. Envelopes.com is a 46-year-old family owned business that was previously known as Action Envelope. In 1999, the company passed on the opportunity to by Envelopes.com for just $10,000. Newman obviously came to regret that decision. After eight years of negotiation, he finally acquired the domain name for $400,000 in 2009 and rebranded the business. As his latest acquisitions show, Newman strongly believes in the power of generic, category-defining domain names. But he points out that not all category-defining domain names are ideal. “I am a tremendous believer in [category-defining domains] and I think that for a non-branded product, it is the best thing to have,” Newman said. The non-branded part is key, he explained. Newman believes that good domain names help with search results. At the same time, there are some downsides. 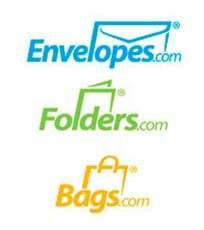 The company’s success with the Envelopes.com domain helped Newman make the Bags.com and Folders.com acquisitions. They are an expansion of the company’s customizable business products lines. A domain broker Newman previously worked with recently approached him about Bags.com, and Envelopes.com moved quickly to acquire it. The company also sees a lot of upside in Folders.com, an operating business that will undergo a refresh. As the company expands beyond envelopes and stationery, it created an umbrella brand over its business with 95 employees called BIGNAME Commerce. The name choice is no accident. The point about Amazon and other market places not allowing dots in seller brand names – that’s something we don’t often hear brought up. I ran into this issue when listing a company on Yelp a couple years ago. The company name was a one word .com. They wouldn’t let us list it as name.com, only name. So it was just a word that described the product. It didn’t make any sense but they wouldn’t let us change it, even though we were a paying advertiser. Good story and lesson for all business who are waiting to invest. This was very helpful as we are in a similar industry. facebook also blocks page usernames/urls from ending in .com, but all other extensions are allowed. corporate giants like facebook, amazon, yelp, etc are trying to protect their dominance by downplaying .com. just another reason these corporations need to be defeated by the rising independent internet. generic .com’s have the power to take traffic from these monopolistic companies.